The teenager who shot Julius Jacobs-40, July 5th in Ocala will not be facing charges for the killing. The State Attorney’s Office released a statement Tuesday saying that the shooting was legal under Florida’s “stand your ground” law. On July 5th according to witnesses, 40 year-old Jacobs got out of his SUV on the 1900 block of Southwest Third Street and went after 17-year-old Tyrone Pierson and two other teens with a stick after a verbal confrontation as they walked down the street. Pierson then pulled out a handgun and shot Jacobs one time in the head. 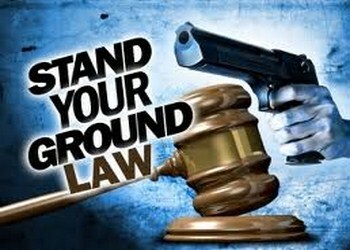 “A person is justified in the use of deadly force and does not have a duty to retreat if he or she reasonably believes that such force is necessary to prevent imminent death or great bodily harm, or to prevent the imminent commission of a forcible felony,” said prosecutors as they quoted Florida Statute 776.012. “In this case, Jacobs’ threats and his attempt to hit the teen would cause a reasonable person to fear imminent death or great bodily harm,” said prosecutors. The 17-year-old will however be facing charges of possession of a concealed weapon by a minor and carrying a concealed firearm. Family of Jacob’s have made him out to be a good man and a regular at church. Unfortunately a search of Jacob’s SUV tells a different story. Reports that he had pulled over to do a drug deal prior to chasing down the teens proved to be true. Jacob’s SUV contained drugs, however it is not clear if Jacob’s was the dealer or the buyer in the drug exchange just moments prior to his death. Jacob’s relatives are not happy with the State Attorney’s decision to not charge the teen with homicide.